Our chimney inspection professionals do everything necessary to keep your chimney looking beautiful while operating safely. 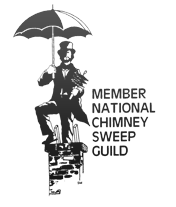 Annual chimney inspections are strongly recommended to effectively pinpoint what chimney sweep services are needed, whether in the spring or the fall. Preparing for an upcoming winter’s frequent chimney use is necessary, although people often forget the importance of spring cleaning. Effectively utilizing our smoke stain removal services is ideal for a cleaner, better smelling home. Muskego chimney inspections will rid your house of wood-tar creosote and other harmful factors. The same services are applied to Big Bend chimneys and Waterford chimneys. Wisconsin Chimney provides for Milwaukee area residents with phenomenal prices. No matter the service, from minor chimney leak repairs to the entire chimney rebuilding process, we are your inclusive chimney service. 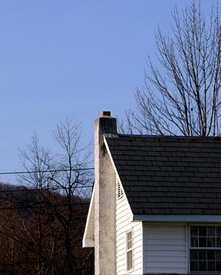 Over the years, Wisconsin Chimney Technicians have serviced homes throughout Muskego. Testimonials are all unanimous in South Milwaukee, agreeing Wisconsin Chimney only consists of unbeatable Muskego chimney repair experts. In addition to chimney repair in Muskego, our chimney inspectors frequently service other homes in the area, including Big Bend and Waterford. Oftentimes a flue cap or chimney wash is the fix needed to keep out the moisture deteriorating your chimney. Muskego tuckpointing is another mastered craft which revitalizes the entire look of your chimney. When your Muskego chimney requires service, the Wisconsin Chimney rebuilding pros take on cracked structural issues and mortar joints which could be hazardous. Our promise for every chimney inspection in the Muskego Lake area is to equip your home with a fully functional chimney, always fitting the exact style and design of your home. Cracks in the mortar which have been neglected over time might require more than a touch-up here and there. Luckily Wisconsin Chimney’s advanced equipment and experience combine to make our Muskego chimney rebuilding services your best bet, whether in Muskego Lake or anywhere else in Wisconsin. 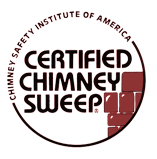 For superior Muskego chimney inspection services, contact the Wisconsin Chimney Technicians.